Progress continues on the park, and the completion of the renewal is now scheduled for the end of September. Unfortunately, the park planners have run into another challenge. There isn’t space for one of the planned pieces to fit into the park’s play area, and still maintain the necessary safety clearances. 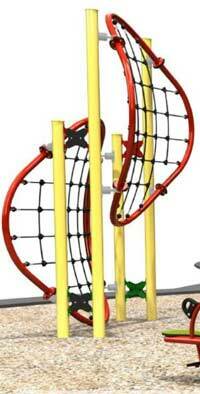 The piece of equipment in question is below. 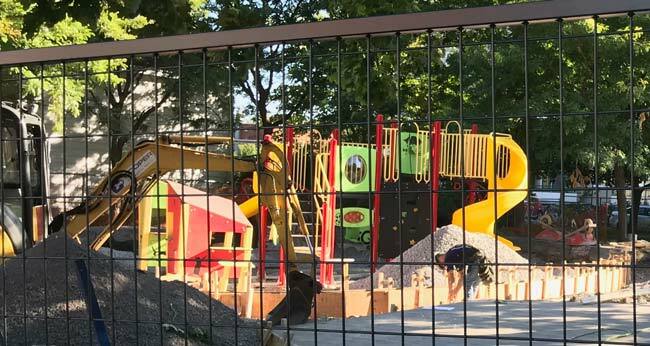 Although this will not be installed, there are still other pieces of equipment that can be used as climbing structures, and we are doing what we can to make the most of the space that we have. Despite some setbacks and challenges, this is still a vast improvement to our park. GACA is hoping to invite the community to a park opening event in mid-October.